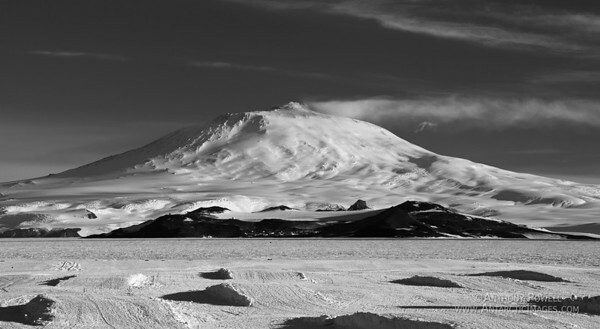 Mount Erebus black & white. 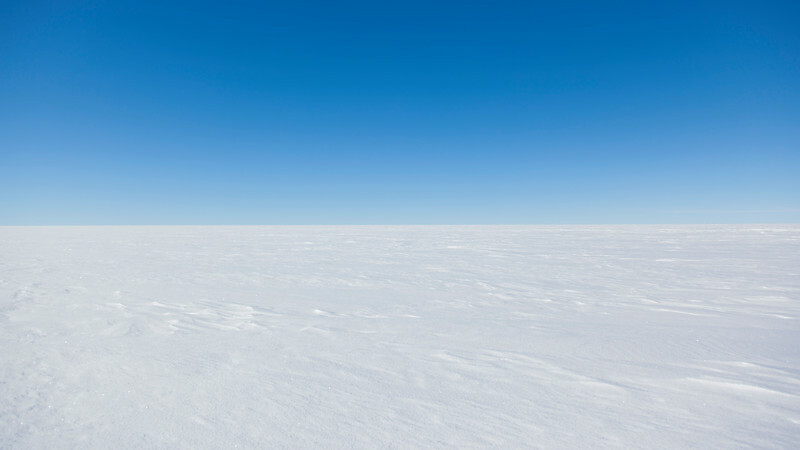 McMurdo Station can be seen at the base of the mountain. The snow berms in the foreground are for storing the airfield equipment on over the winter so things don't get buried in the blowing snow.